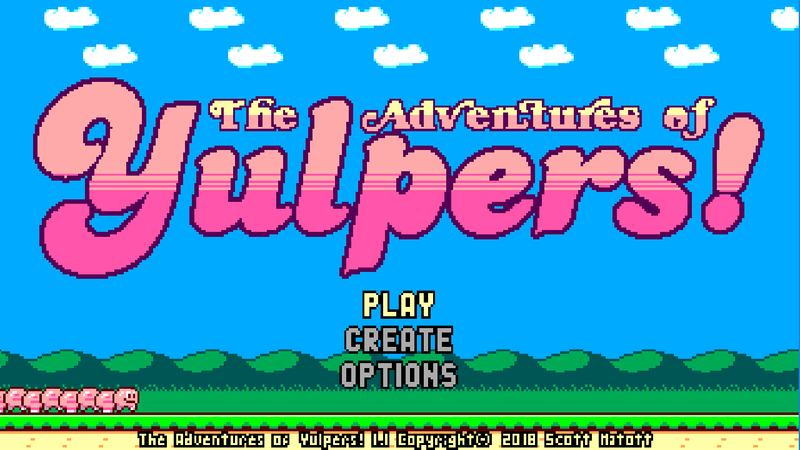 The Adventure's of Yulpers! is my entry into OGA's Summer 2018 Game Jam. Presented as my way of giving back to the OGA community and saying thanks to all the artists whose works contributed to the creation of Yulpers, here are the art and sound files from the game. The art uses pieces from several OGA works along with some original stuff, see details below. The sounds are all original created by me with sxfr. I've included the original sfs files for them in case anyone wants to fiddle with them further. Yulpers and Gulpers are derived from the little pink creature in GrafxKid's Mini Character Pack. Beetle bugs are a shrunk version of the beetle in GrafxKid's Various Creatures set. 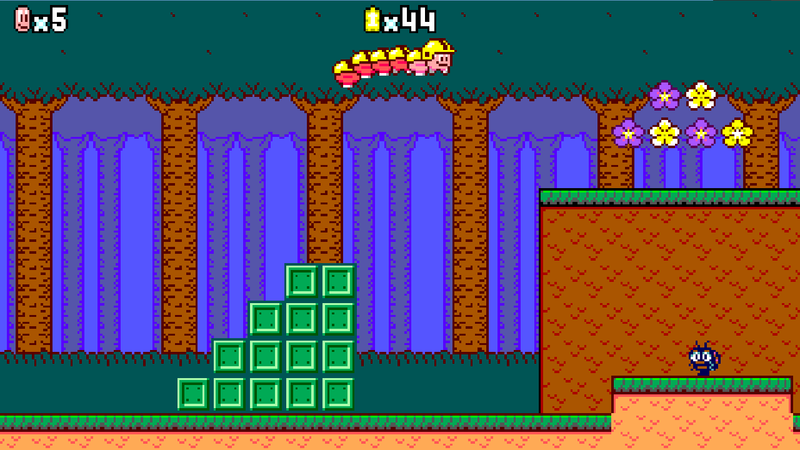 Tiles and backdrop layers are a mix of new works and things derived from GrafxKid's Seasonal Platformer Tiles, Arcade Platformer Assets, and Items and elements sets. Apples are derived from Master484's GoodFruits set. Fish sprite is derived from surt's Monkey Lad in Magical Planet set. I reformatted them slightly and added an outline which I thought might be useful to others so I included them here. Pretty sure the rest of what you see is original work by me, but if I missed anything or anyone please let me know! 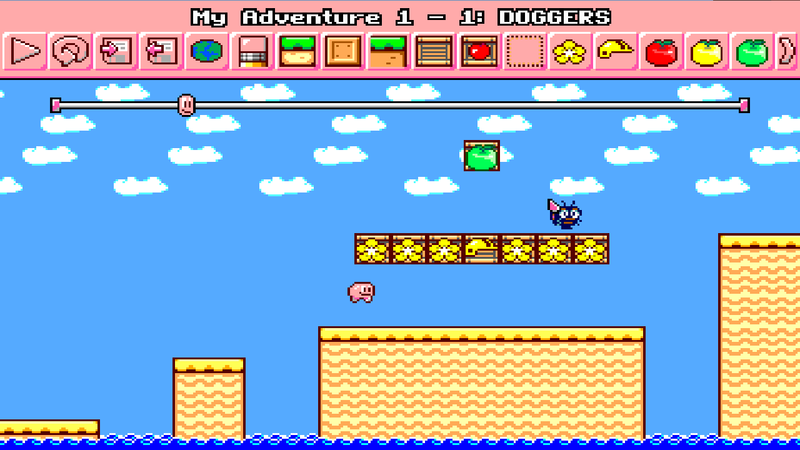 Everything was re-colored to fit in the Sega Master System palette which is included here also for completeness. Please credit myself (Scott Matott) and provide a link back to the OGA page for this work. Additionally, please credit the authors whose works this set is partially based on and provide a link back to the OGA pages for their works as listed in the included README file. no problem, since so much the game's art started here it only seems right to return the favor. Glad you liked the game! Yeah this game is very good!